High performance motherboards are the envy of every PC build. 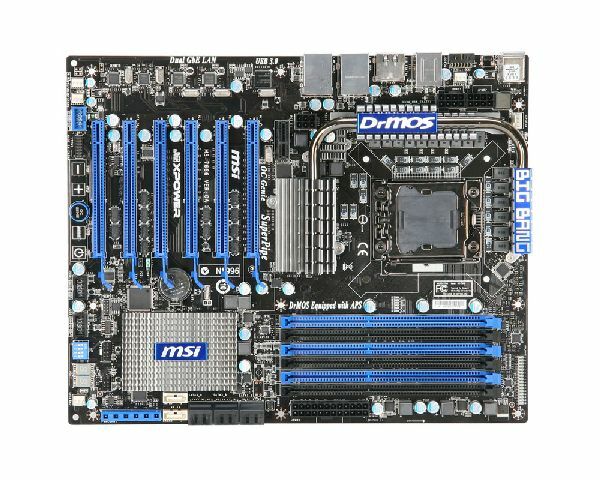 They provide a solid foundation and usually allow you to get more out of your hardware than you otherwise would be able to using an entry level motherboard. MSI brings their creme de la creme enthusiast motherboard to the table today with their Big Bang XPOWER. Packing enough power to start its own universe, this board has all the bells and whistles to make the nerdiest of us giddy like a school girl. Between $299 and $315. I suggest Newegg.